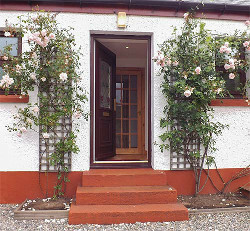 Welcome to Birchwood Holiday Cottage! Birchwood is situated on the shores of Loch Long, a 2 minute drive from the village of Dornie and the picturesque Eilean Donan Castle, historical home to the Clan MacRae. 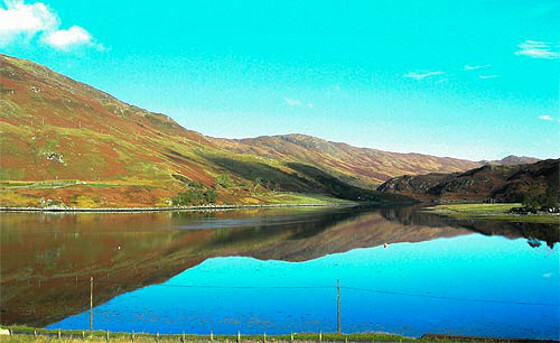 It provides a central location for exploring Lochalsh, Skye and Wester Ross. The village of Dornie has a shop, Post Office, cafés, and two bars/pubs serving lunches and evening meals. Take the 20min walk to Eilean Donan Castle along the shores of Loch Long. 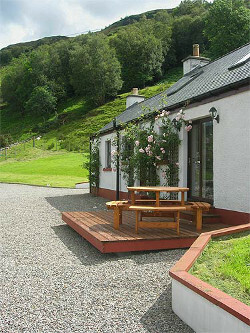 Sit back and enjoy the stunning view down Loch Long from the comfort of the living room or from the outside decking. From here you may be lucky to spot the otters on their hunt for food along the shoreline. They were seen by guests throughout 2016.